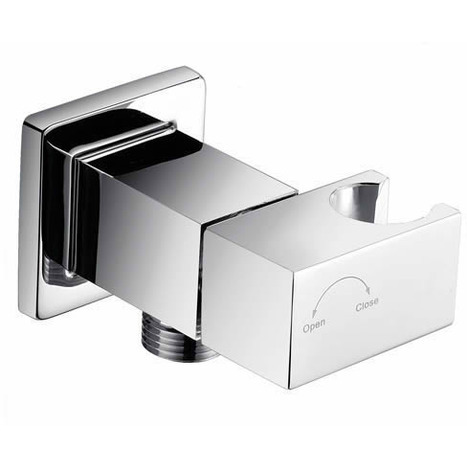 VAL2460: Chromed brass with shower mount with the unique auto-prompt water shut off valve. Valve is closed and water shut off when the shower mount is vertical and the head is placed in the holder. Manufactured for us from solid brass with mirror chrome finish. To view larger images and additional information, click on the view more information tab which will the load main page where more detailed information is available. 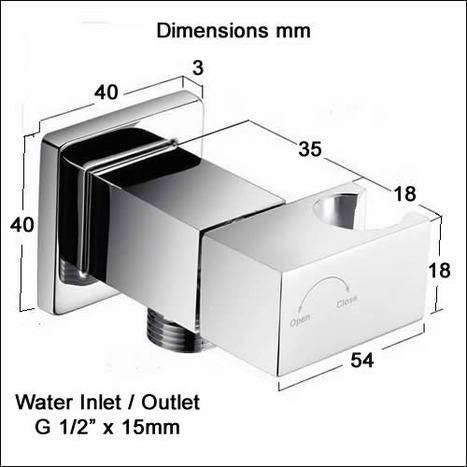 VAL2460: Square auto-prompt water shut off shower valve and mount. Premium quality chromed solid brass dock with integral shower holder and auto-prompt shut off valve. 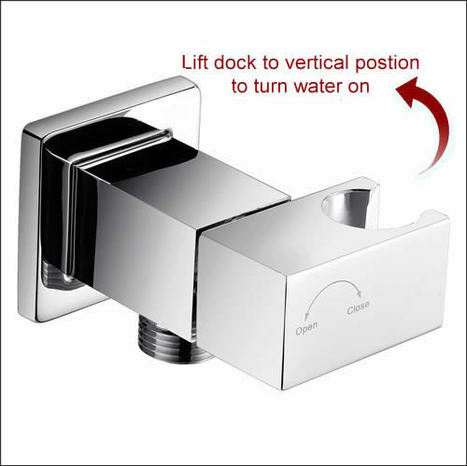 To turn water on remove shower head from dock and turn dock to the vertical position, to place the shower back in the dock necessitates turning the dock head back to the horizontal position which in turn closes the water supply to the shower hose and head, thus auto-prompting you to turn off the water supply after every use. Compatible with all our range of bidet showers. Finished in mirror chrome, ideally suited for use with our MIX2300, MIX6000, MIX6400, MIX6500 and TMV6200 mixer valves . Triple purpose shower holder, water isolating valve and a medium for connecting the warm water pipe from the mixer valve to the Bidet shower hose. Wall plate 50mm square, chrome on brass. Standard 1/2 ins BSP (15mm) male inlet and outlet thread Solid brass construction with 8 ~ 10 microns of mirror chrome plate To view what comes in the box and to see basic installation guides click on the View Additional / Larger images under the picture to the left then click next on the large picture to view all of the additional images.